For those of you who don’t know the history of Character Day, it started five years ago with an experiment: we’d invite groups around the globe to participate in a global premiere of our new film The Science of Character, all on the same day, and join a global conversation about the importance of developing character. Since then, that experiment has now grown over 10,000%, from 1,500 events that first year to nearly 200,000, engaging roughly 15,000 schools and an estimated 3-5 million people in 2018 alone. 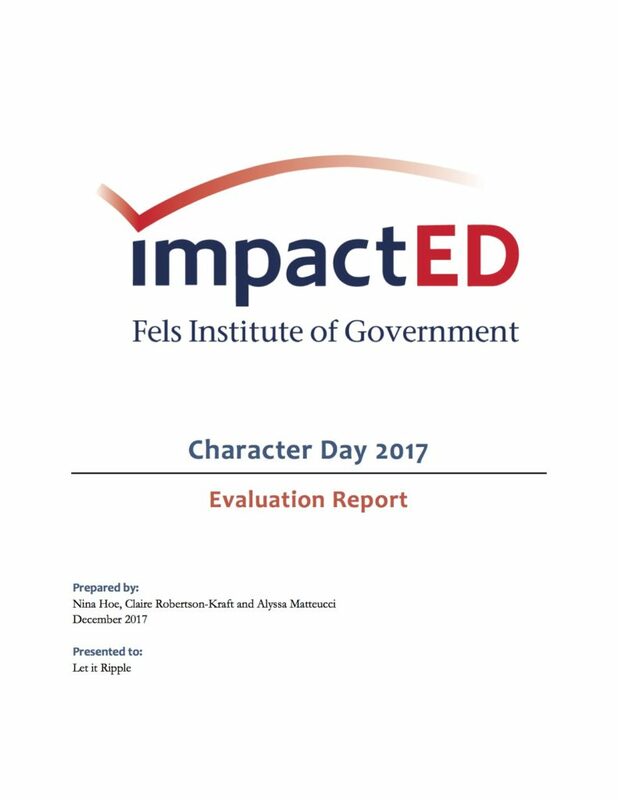 This past year, thanks to generous support from The John Templeton Foundation, we partnered with ImpactED at the Fels Institute of Government at University of Pennsylvania to evaluate the qualitative impact of Character Day on individuals and institutions who participate.